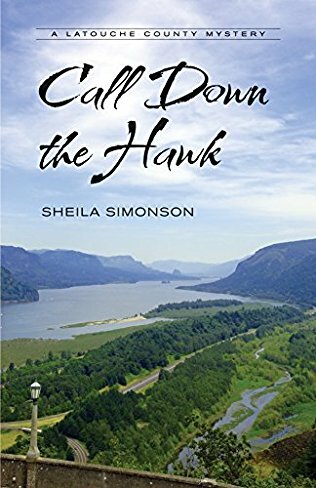 Meet the August and Hough (pronounced Hawk) families who live on adjoining properties on the Columbia River Gorge in the Pacific Northwest. Frank August is a retired wealthy banker who has built a large estate and started a vineyard next to the farm of Vietnam Vet, Bill Hough. Frank and Bill both court conflict just because they can. When Bill commits suicide, his estranged son Russell returns home after being gone for many years to help his mother Alice and younger sister Judith, an Afghanistan Vet. Frank's daughter from his first marriage, Jane, has come to visit while teaching some art courses at a nearby college. She wants to get to know her father better and is willing to put up with his fifth wife, who is younger than Jane, to do so. Jane meets Russell when she finds him injured from a falling limb in his cherry orchard. Driving him to the hospital starts her on a new chapter in her life. When Frank's former bank, now run by his son, goes into receivership over subprime mortgages, the two of them fight. The next day Frank disappears and can't be found. It is the general belief that he is on the run from the failed bank mess. Then his SUV is discovered! I found this to be a compelling read with characters so lifelike that it was like they were in the same room with me, telling their story. The dynamics in both families added to and drove the mystery of "Where is Frank?" This is the fourth book in the A Latouche County Mystery series. Each book appears to involve many of the supporting characters in this setting and each can be read as a stand alone. I was pulled into this complex story and couldn't stop reading until the end delivered up a surprising solution about Frank's disappearance. To enter to win a copy of Call Down the Hawk, simply email KRL at krlcontests@gmail[dot]com by replacing the [dot] with a period, and with the subject line “hawk,” or comment on this article. A winner will be chosen October 7, 2017. U.S. residents only. If entering via email please included your mailing address. Beautiful cover. Enjoyed the description of the book. Sounds like a great read.